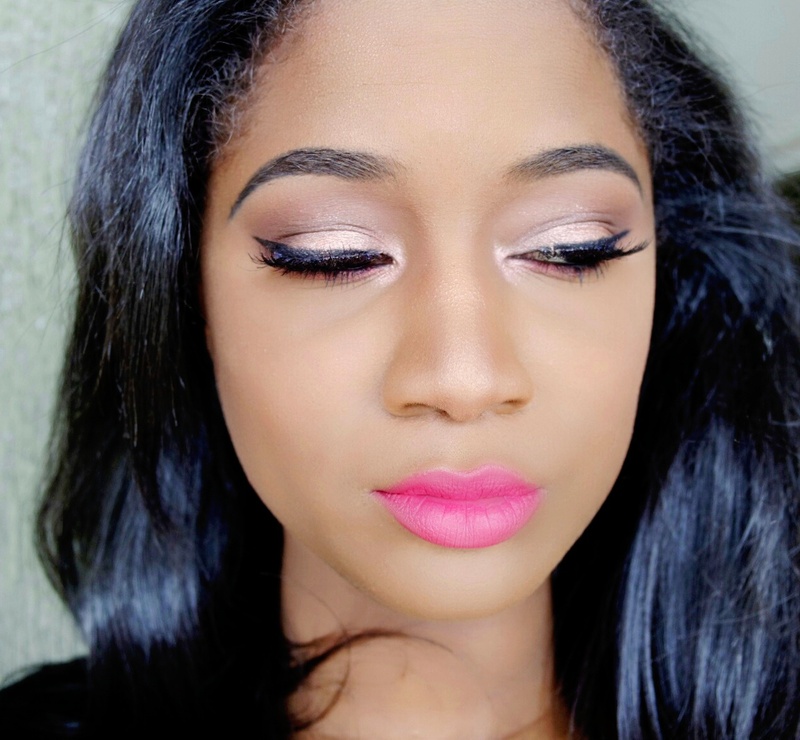 Since it's the end of the Year, I wanted to share some of my favorite makeup looks from the past year. I try to do my makeup as often as possible not only because I own so much, but also because it's like art for me and I have definitely tried to work on my skills daily. It's not always easy and I don't always have time to do it because of work and life, but one of my goals for 2017 is do a lot more tutorials and makeup application post. Today I want to talk about my go to face products from the past year. I discovered quite a few products that have replaced staples in my routine. 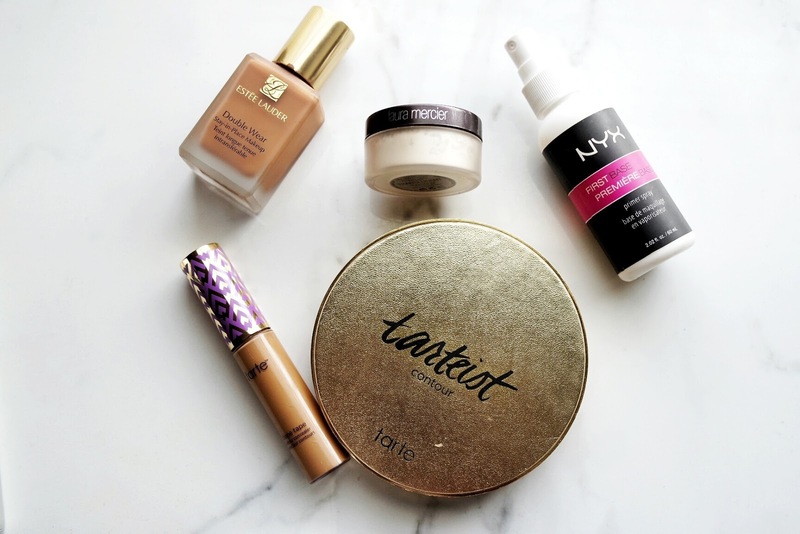 A few of these products have been total game changers for me. 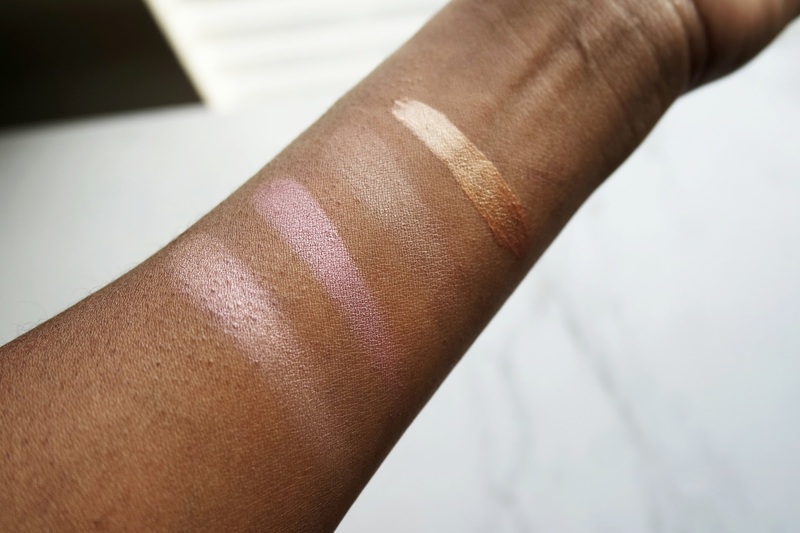 I have included mostly complexion products, because I have too many favorite highlighters and will for sure have to do a separate post on those. 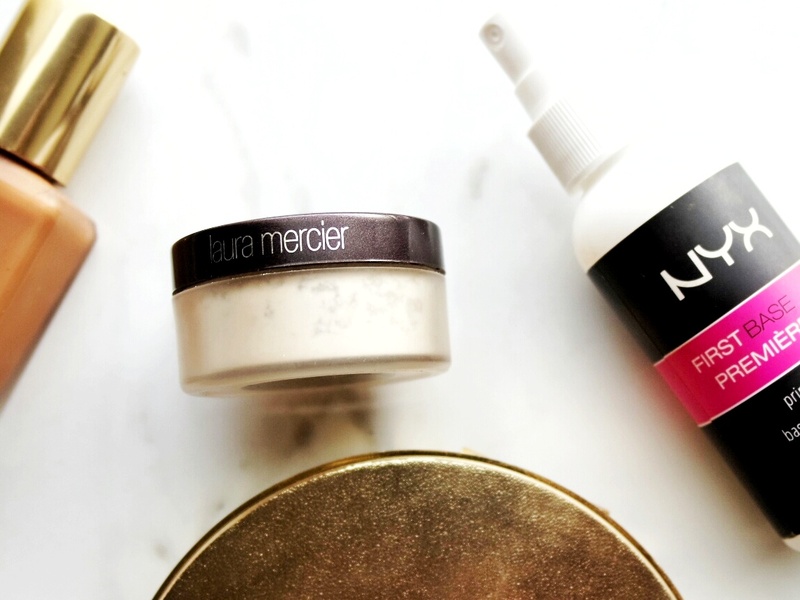 After seeing this powder non stop for the past few years, I finally took the plunge and tried out the Laura Mercier Translucent Powder and completely fell in love. 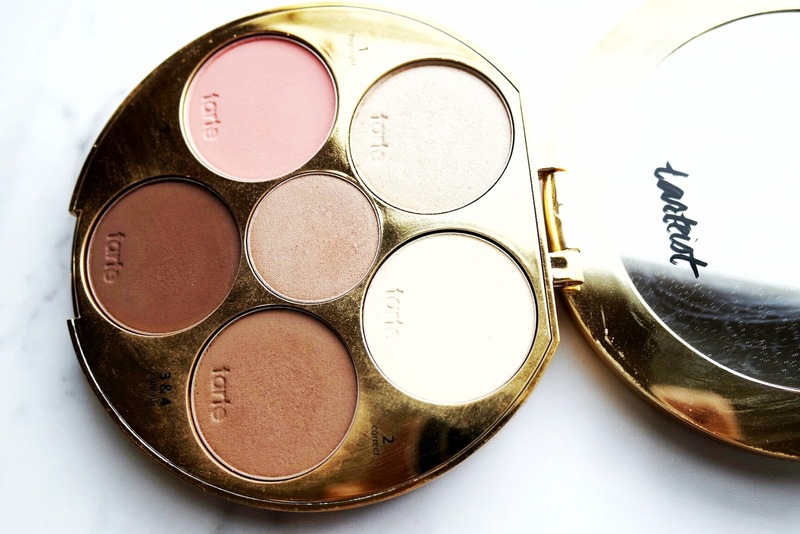 This is a great multi use powder. It's great for baking extra oily areas to keep them shine free all day and is a great all over face setting powder. I love that this powder is truly translucent and doesn't give off an ashy cast, making it brown girl friendly and greatly appreciated. 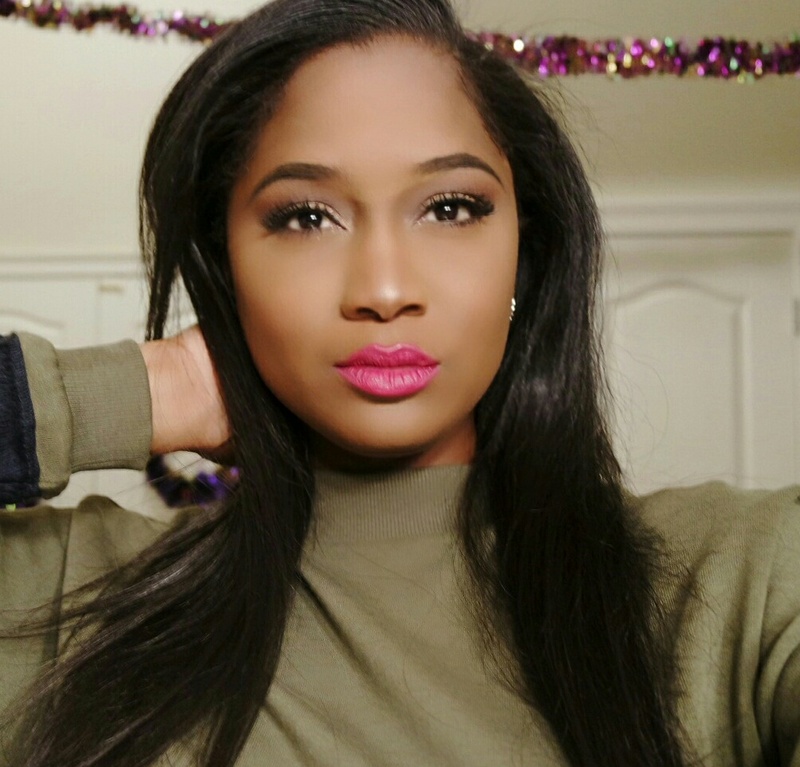 I honestly initially only picked up this palette because I love MakeupShayla on Instagram and wanted to show her brand some support, but I fell in love with this palette, specifically the contour shades and the blush. 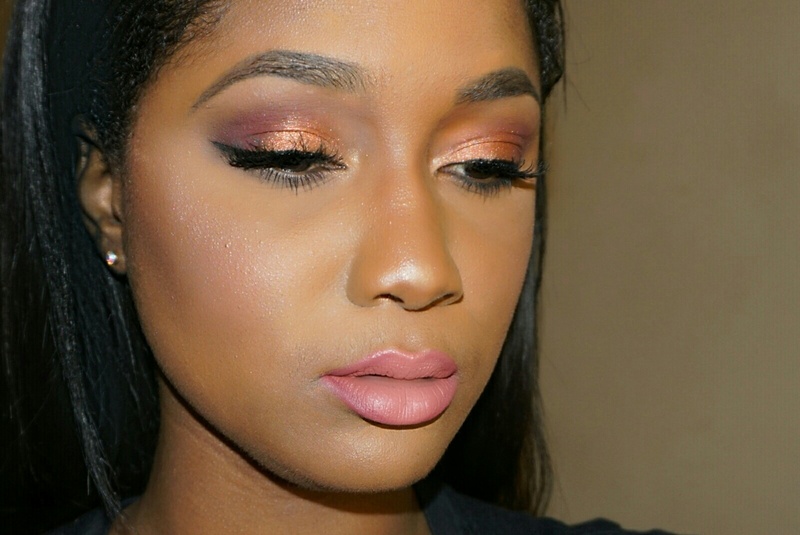 This palette blends so well and you can actually build the intensity of your contour without it getting muddy. 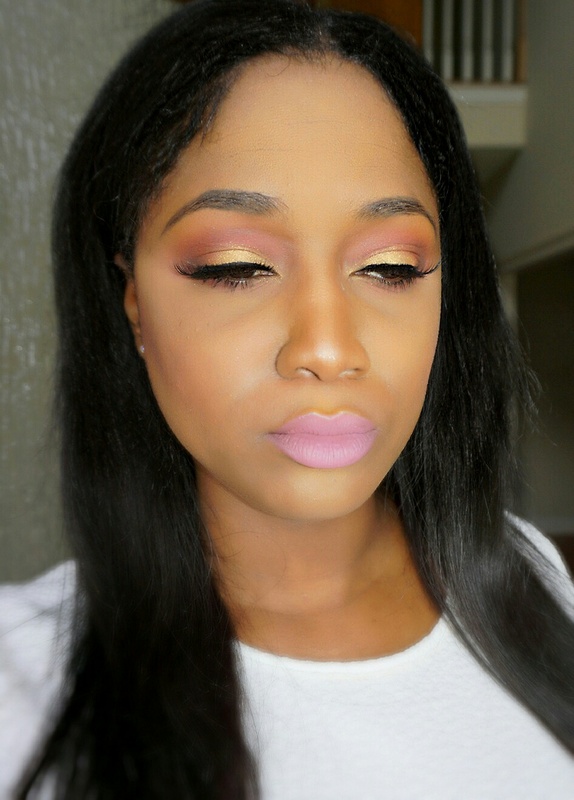 I also love that the blush and highlighters are subtle. I would recommend this palette (or the 3rd edition that just launched) to anyone because it really simplifies the highlighting and contouring process by having numbers on each shade and an easy to follow along diagram that shows you where to place the product! Non stop use for me this year! This is hands down the BEST concealer I have tried in a long time. It has awesome coverage and does not crease under the eye, which is a must have for me (because wrinkles!). I got this one a few months ago and am already on my second tube! 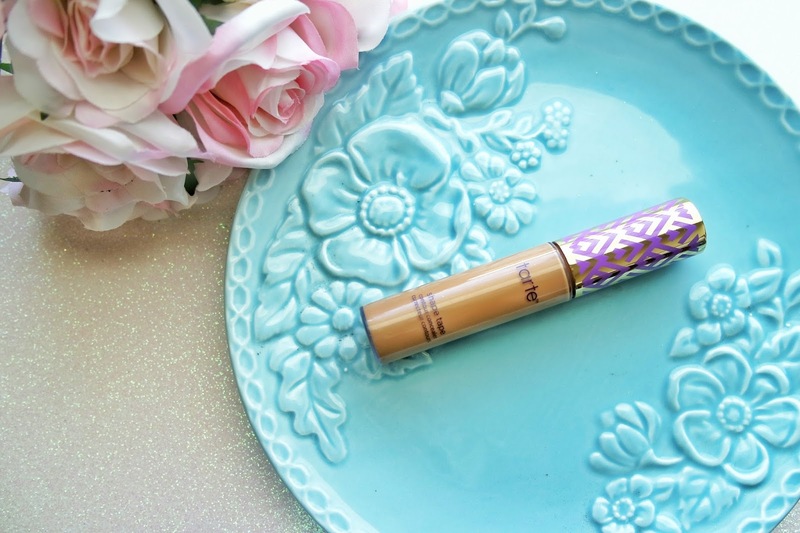 Check out my review for more details, but trust me you will love this concealer! 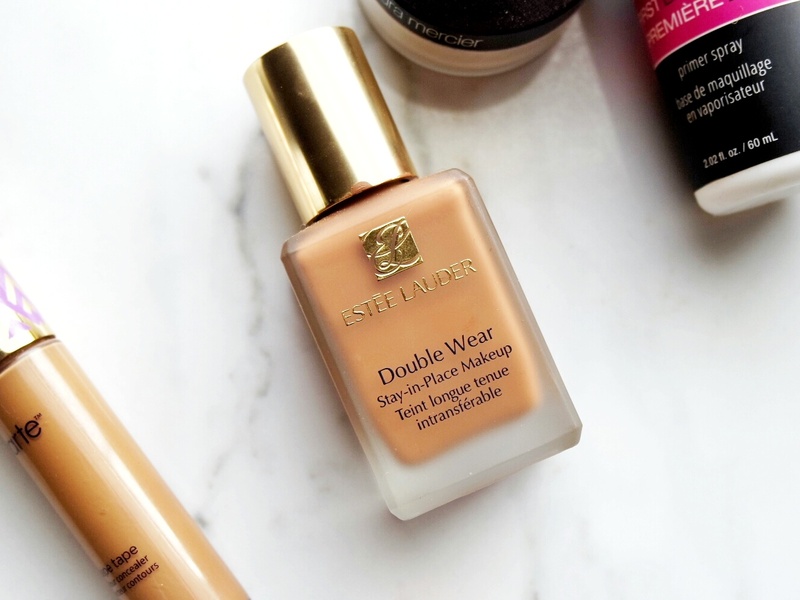 This foundation has been my ride or die for every occasion. 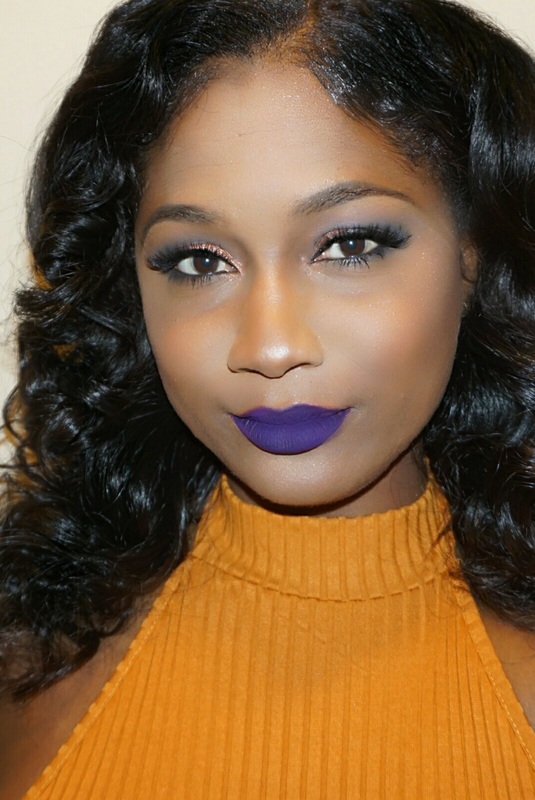 It lasts on me all day and has a gorgeous matte finish. The coverage of this is best described as medium build able. I use this interchangeably with my all time favorite Mac Studio Fix Fluid, but this one honestly gives a much more natural finish and is a total winner. This has become my favorite primer spray this year. It's not only a primer than will lengthen the wear of your makeup, but it also is a great multi use spray that is perfect for intensifying the pigmentation of eye shadow and to get rid of any excess powderyness after applying powder foundation. I also love that this spray helps to control my oil, which is much appreciated in the humid New Orleans weather. Let me know some of your favorite complexion products from 2016 in the comments! 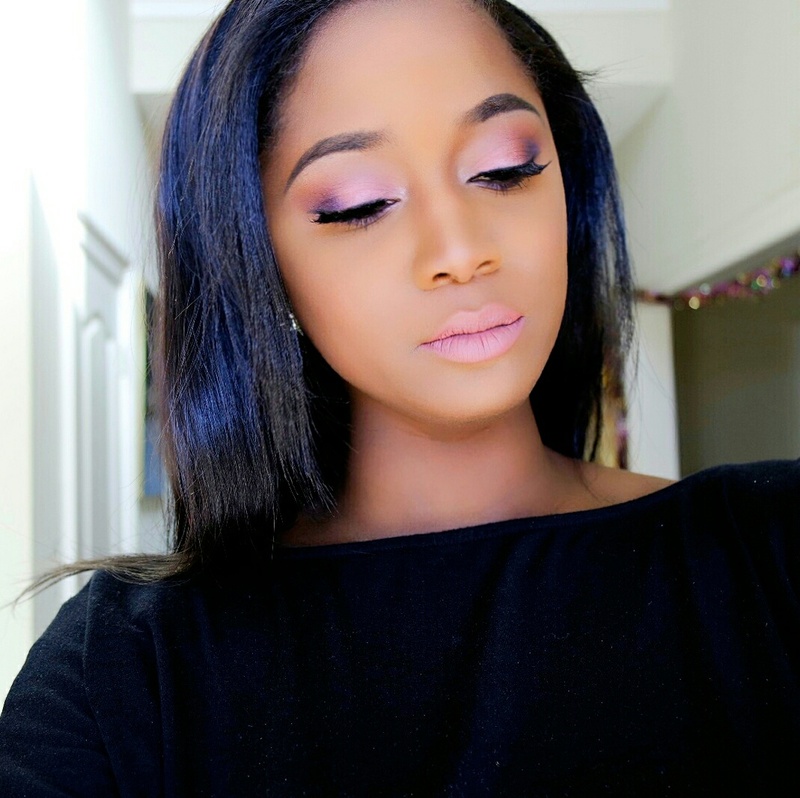 2016 was a great makeup year for me. 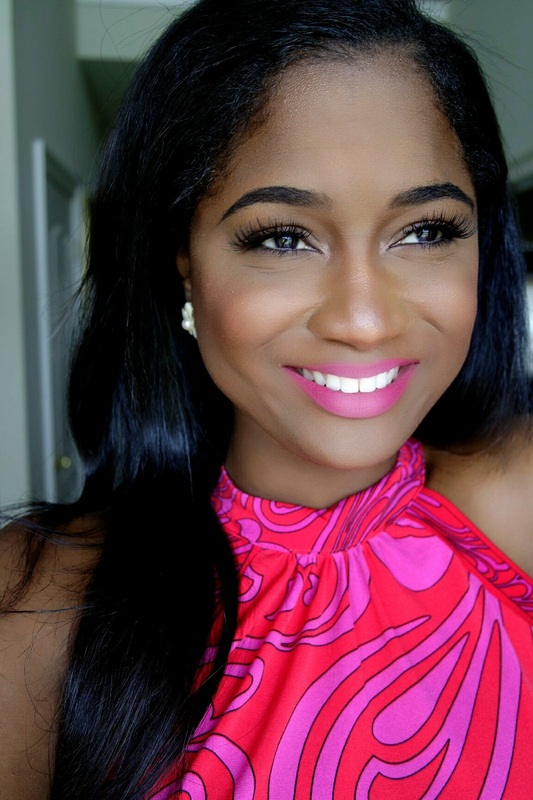 Since starting this blog in January, I have tried out so many products that I have now added into my everyday routine. 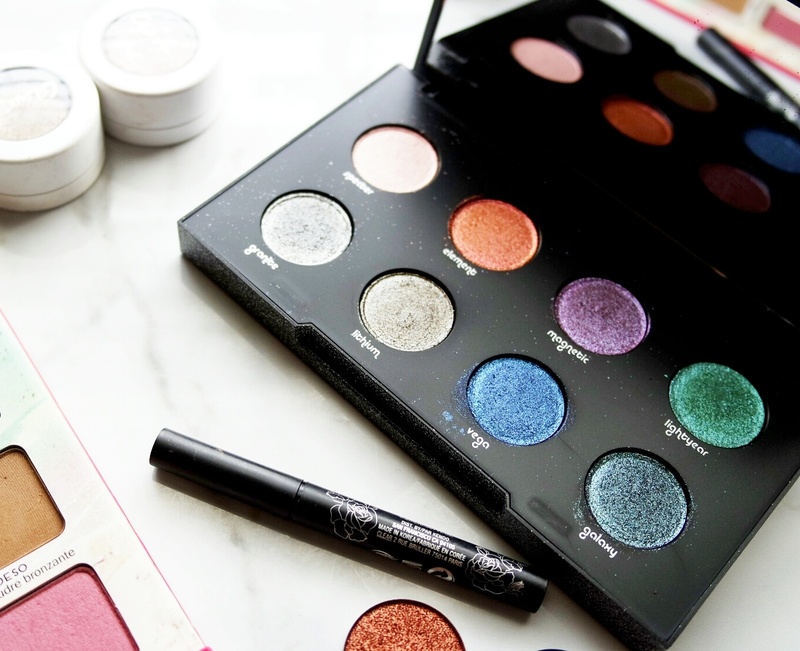 Eye shadow has a special place in my heart as it is my favorite part of doing my makeup every morning. 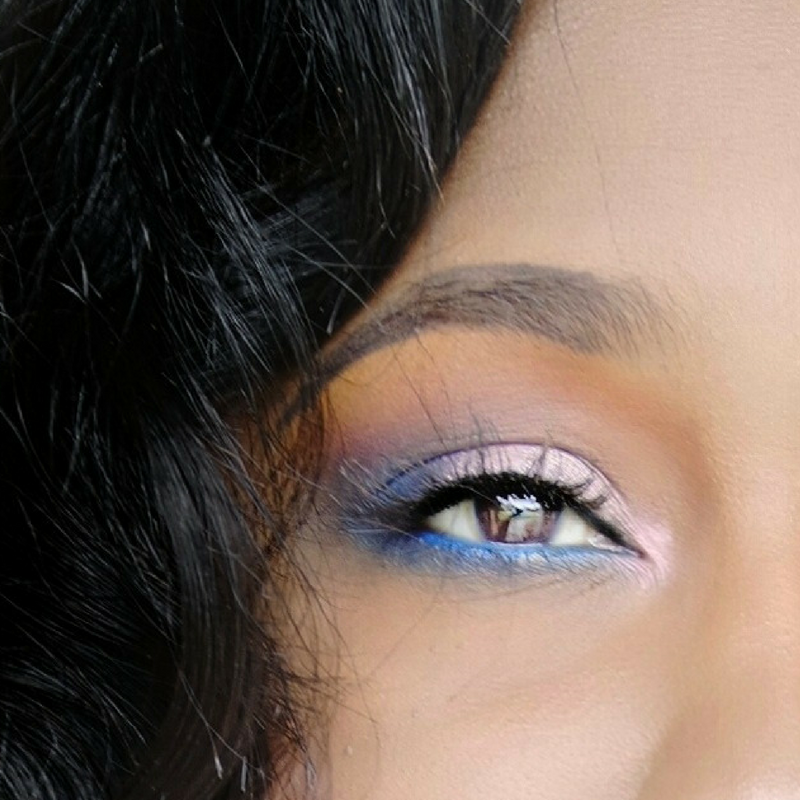 Eye shadow application is literally like art for me and how I express my creativity. I won't ramble as there are quite a few products to cover. Applying winged eyeliner has always been a struggle of mine. For that reason, I prefer pen style liners and the Kat Von D liner has been a life saver for me! It's a little steep at $20 dollars, but has been worth it for me for two main reasons. 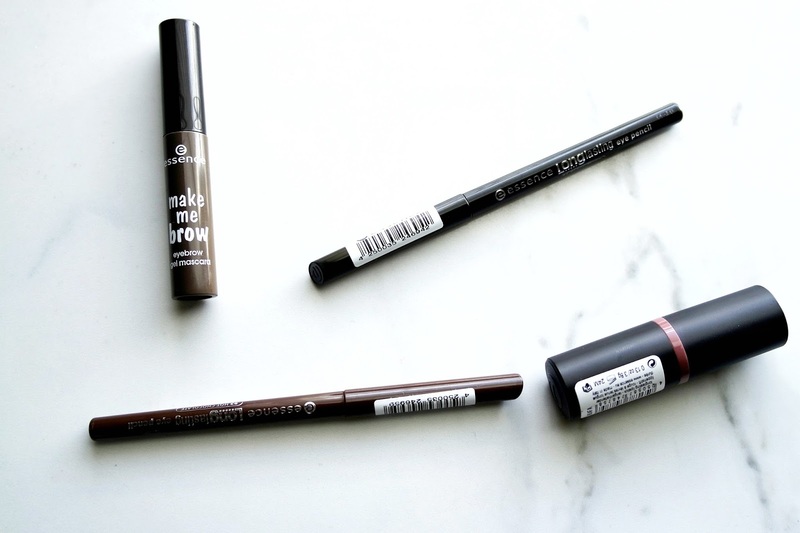 It's super black and has a tiny brush tip that makes applying liner a breeze. If you have issues with liner and need something that will last all day. Try this one out! 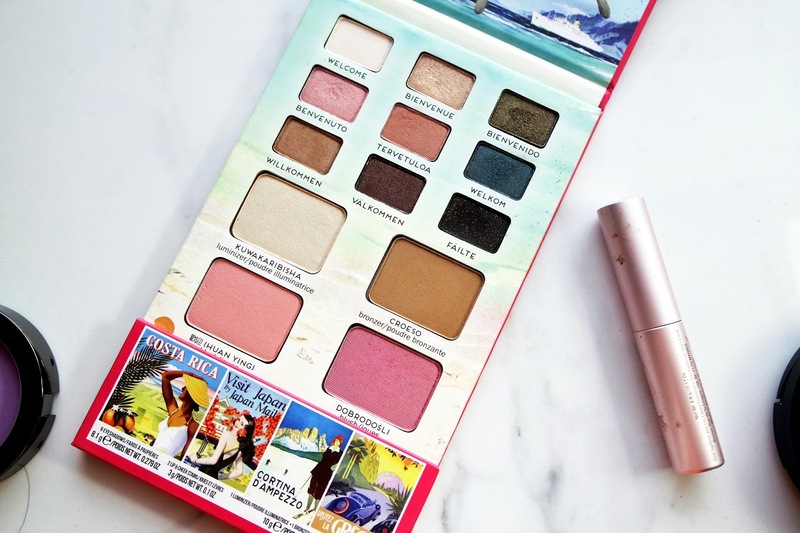 This palette was my go to for travel this year! 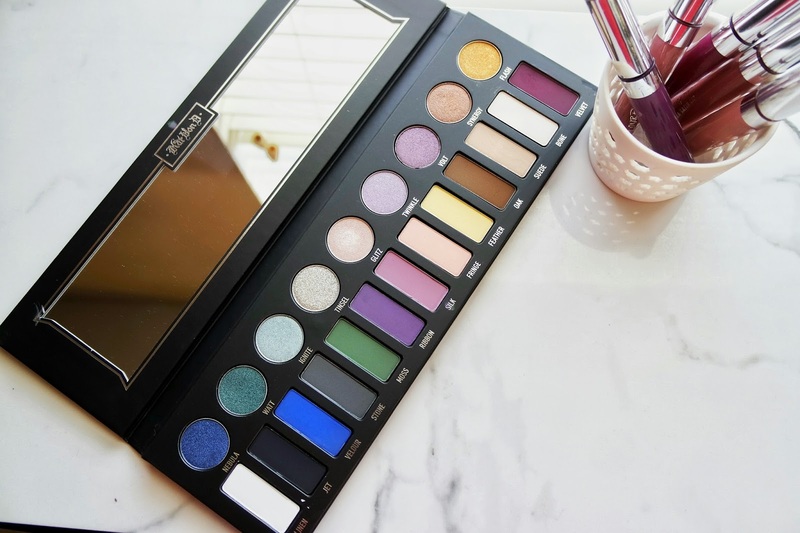 I absolutely love the quality of the eye shadows in this palette and I also love how versatile the palette is as a whole. 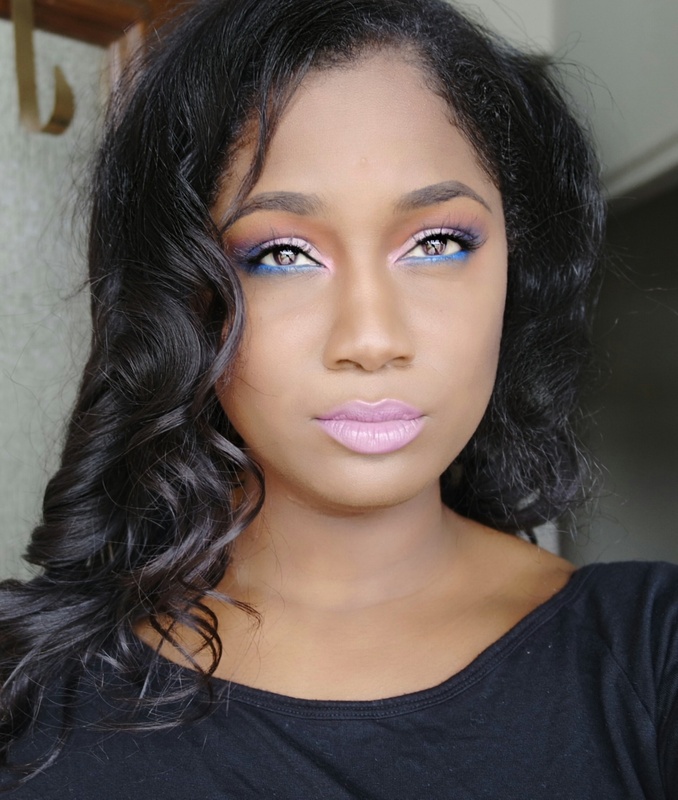 I was definitely able to do everything that I needed to do on my face. I included this as a an eye palette only because that's its main purpose for me. 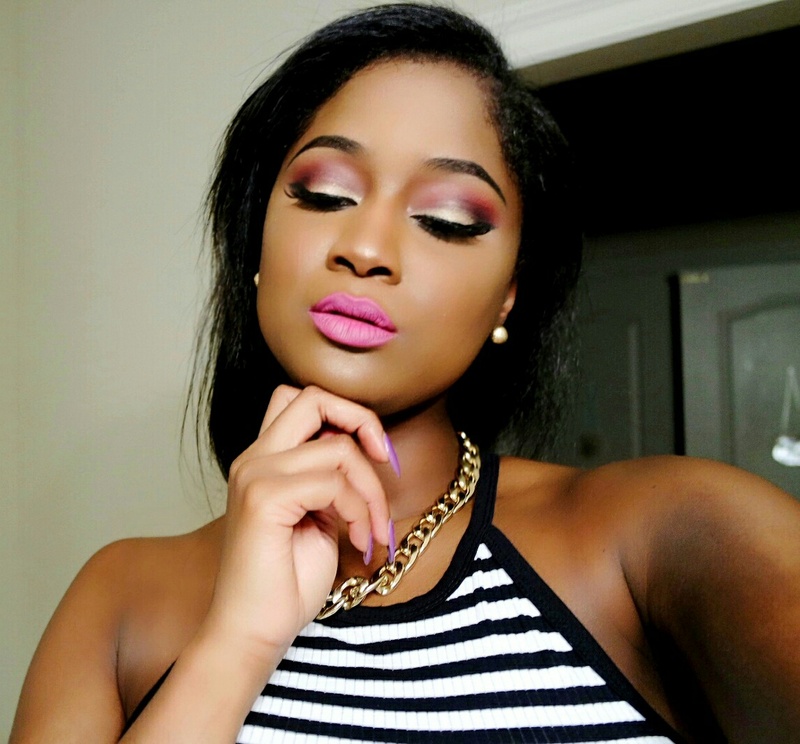 I like to use the bronzer as a transition shade and the highlighter is perfect as an eye shadow. This will not let you down on vacation or in everyday life! 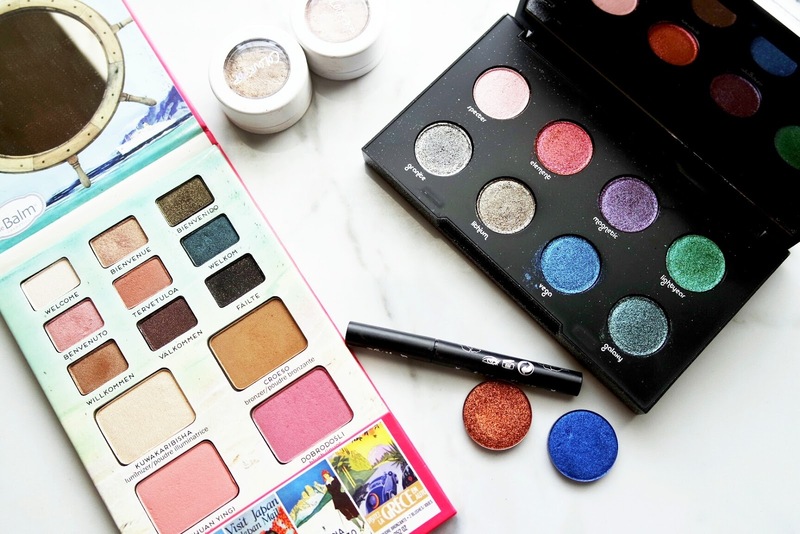 I received this palette for my birthday and it is my go to palette for night out glam looks! 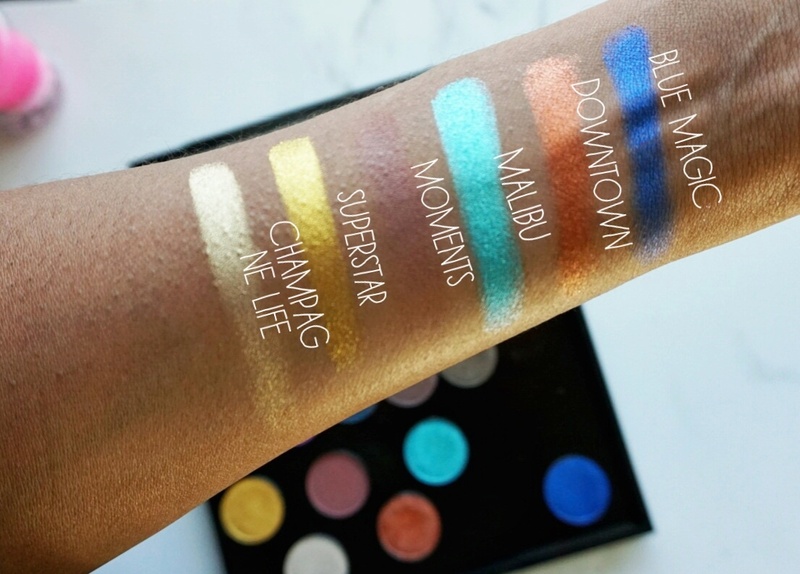 This shadows in this palette perform awesome on the eye whether used wet or dry! 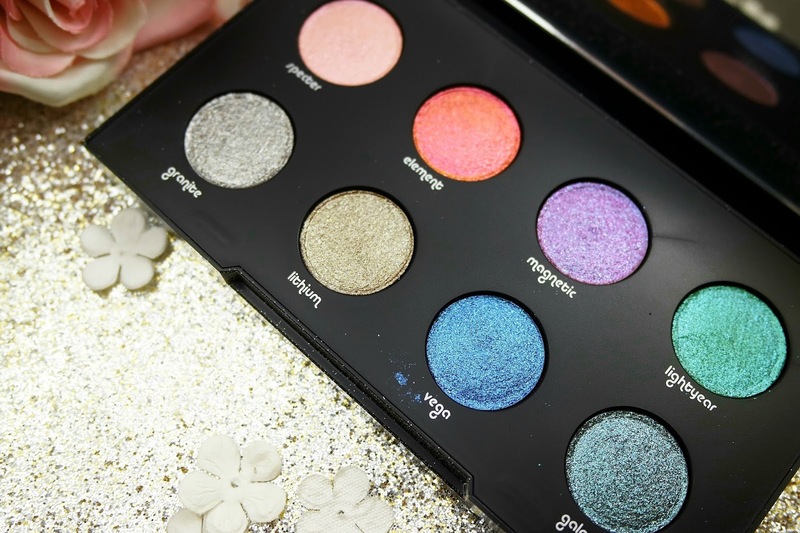 I would recommend this palette for adults who like glitter, but don't want to be a glitter bomb. The shimmer particles are really fine and not chunky, making it much more wearable for the average person. My final eye shadow favorite from 2016 is also my best. 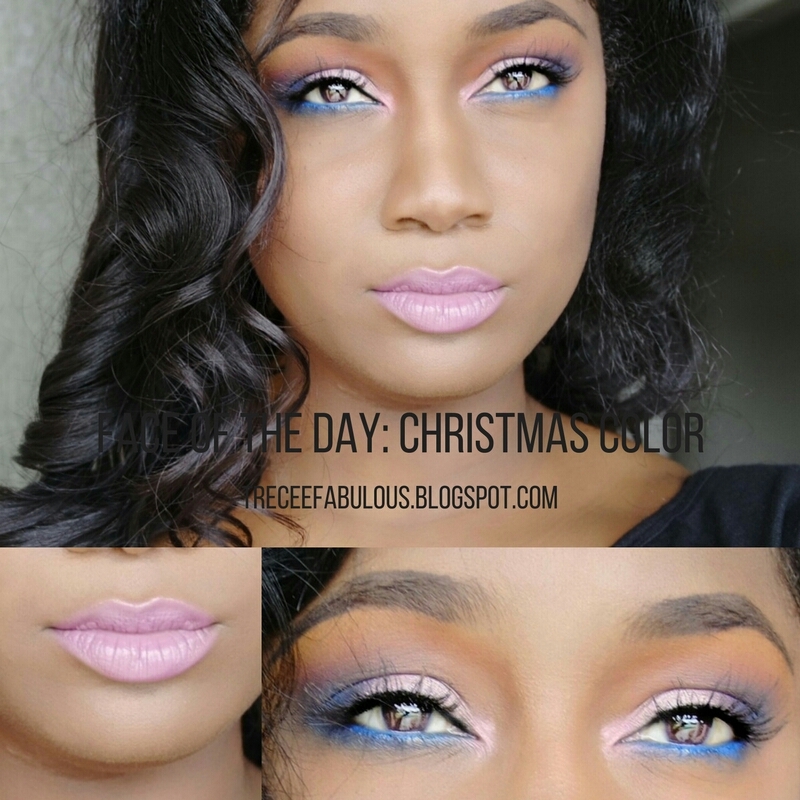 The Coloured Raine Eyeshadows totally blew me away in pigmentation and performance. 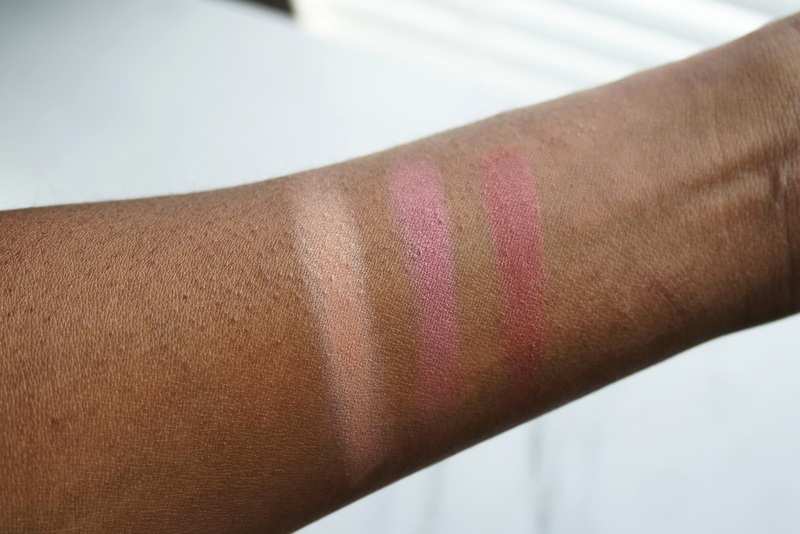 This formula will give any high end eye shadow formula a run for its money because these not only swatch nicely but last all day and blend into each other so well. My favorite part about these shadows is definitely the price point. They retail for $6.99 and are worth so much more. I love every single shade I have and haven't experienced any duds. 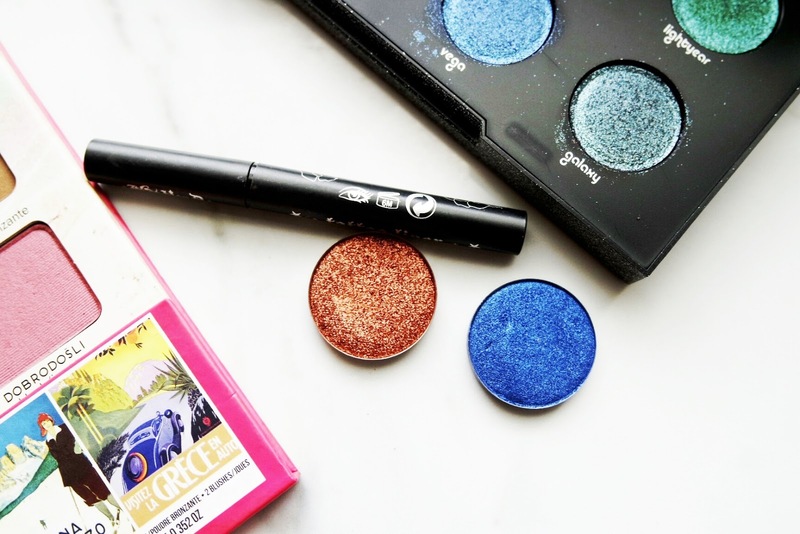 What were your Favorite Eye Products of the Last year? Drop them below. 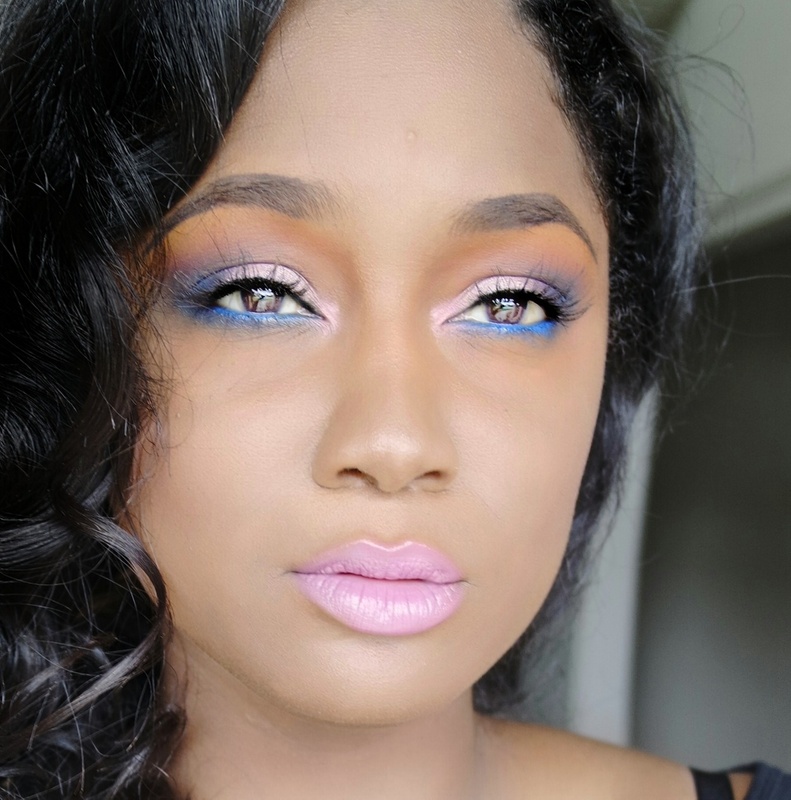 Other than the non winter weather, I had an awesome Christmas with my family and since I was feeling festive, I decided to do some colorful makeup using one of my new favorite palettes, the Kat Von D Metal Matte Palette. I picked this palette up back in October and have totally fallen in love with it. 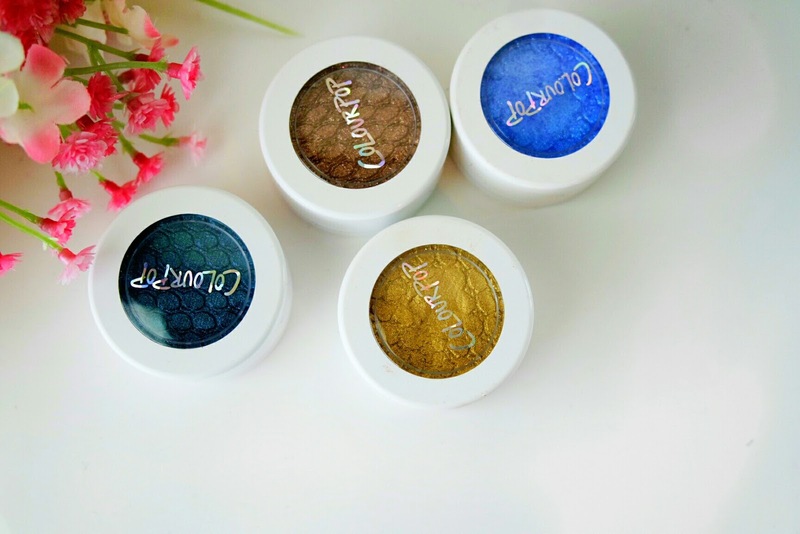 I love both the matte and Metal shadows, they blend well and are offer superb pigmentation. This palette was definitely worth the $60 price tag. 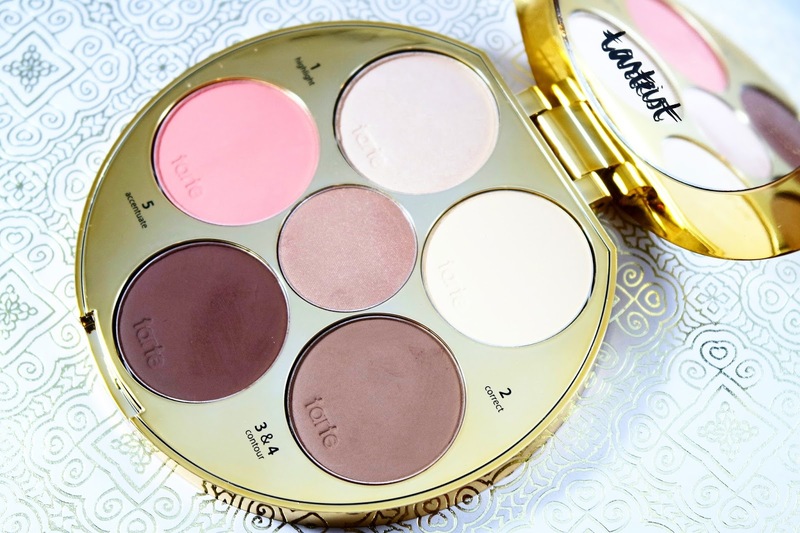 I did a full review on this palette HERE. On my lips I wanted something that was both bright and subdued. I opted to use " Up the Amp" by Mac Cosmetics. 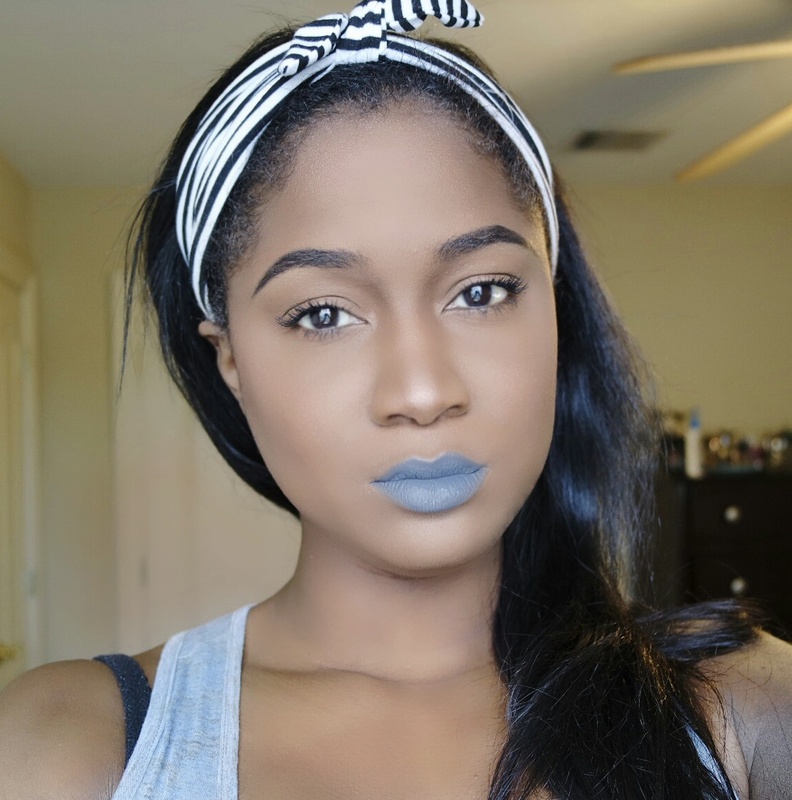 This shade is one of Mac's Amplified finishes so its not super pigmented, but is still beautiful and moisturizing on my lips. I will list the rest of the products I used below. Did you get everything on your wishlist for Christmas? Drop me a comment below! On my last day in Mexico, Ulta.com decides they want to have a Merry Monday One day sale which featured tons of products that I have been wanting to try up to 50 percent off. Y'all I was so pressed to get back to the States to place an order, that I stopped in the middle of the airport as soon as I landed and checked out my cart. I got quite a lot of things that I had been waiting to try as well as a few items that I already enjoy. This haul is collective and includes a few things that I picked up throughout the whole month of December. 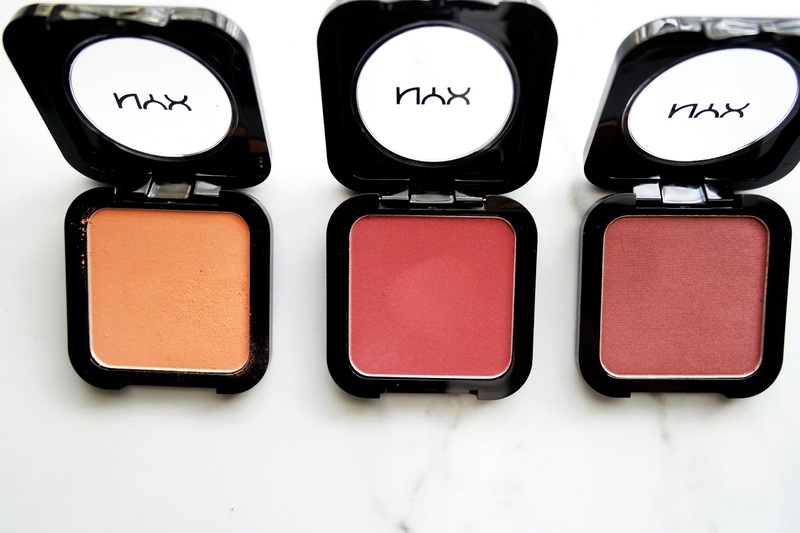 The Nyx Ombre Blushes are gorgeous. 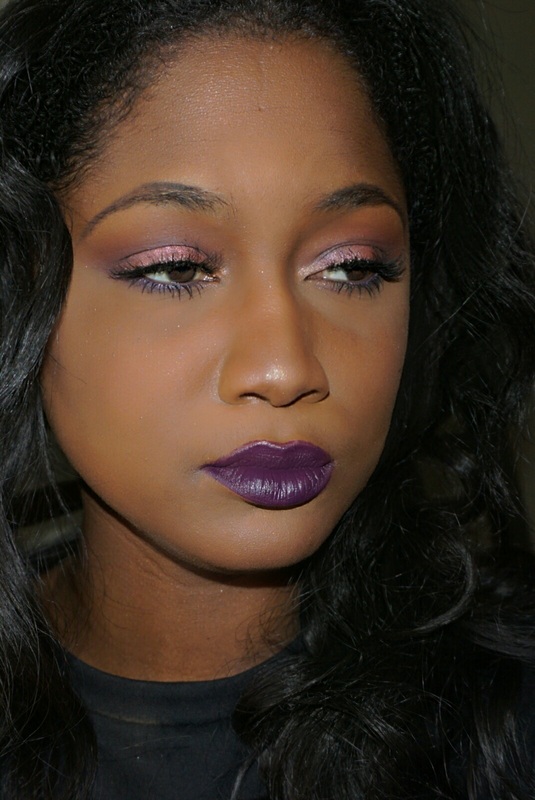 I picked up Mauve Me a reflective Mauve/Pink combination and have not put it down since I got it. 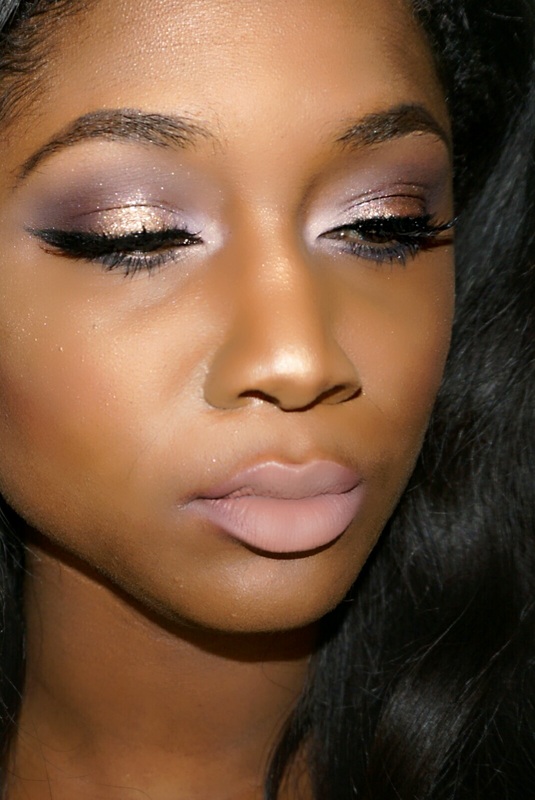 Mauve is my favorite color to wear and I just love how gorgeous this color is and how the intensity can be built. I have a full review on the other colors I own HERE. I picked up this powder because I swatched it in Ulta and loved the finish. I decided to order the shade Cocoa on line which is wayyy to dark to use over the face so I used it as a contour and it has not let me down yet. The Duochromatic Illuminating Powder is one of the 2017 releases from Nyx and is supposed to be a duo chrome highlighter! 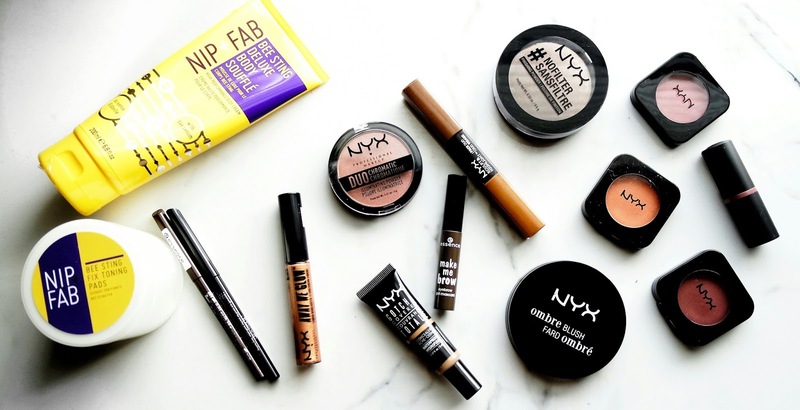 Duo chrome products have been trending all year and Nyx has finally jumped on the bandwagon. I am super excited to try this out and will probably go out and look for one more color. Since purchasing I've worn this once and really love the finish. Crushed Bloom is a pink with silver and blue shifts and is absolutely gorgeous. If you didn't know, I am a blush freak so I was excited to get these next blushes. 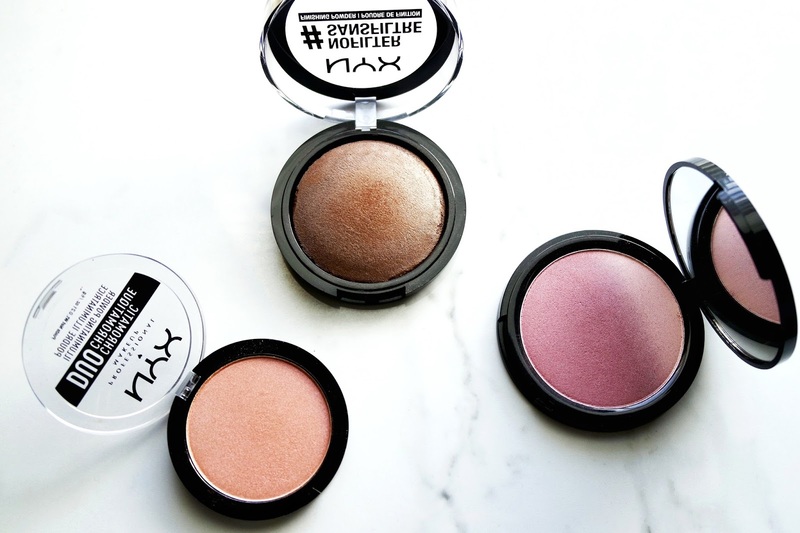 The Nyx HD blushes have amazing reviews on almost all sites that I searched and one of my girlfriends swears by the shade Coraline so I picked that one up with a few other deeper colors to give a go! Essence Long Lasting Lipsticks in "06 Barely There"
Essence Long Lasting Eye Pencil in "Black Fever" and "Hot Chocolate"
This is my favorite waterline pencil, so I picked these up as back ups. 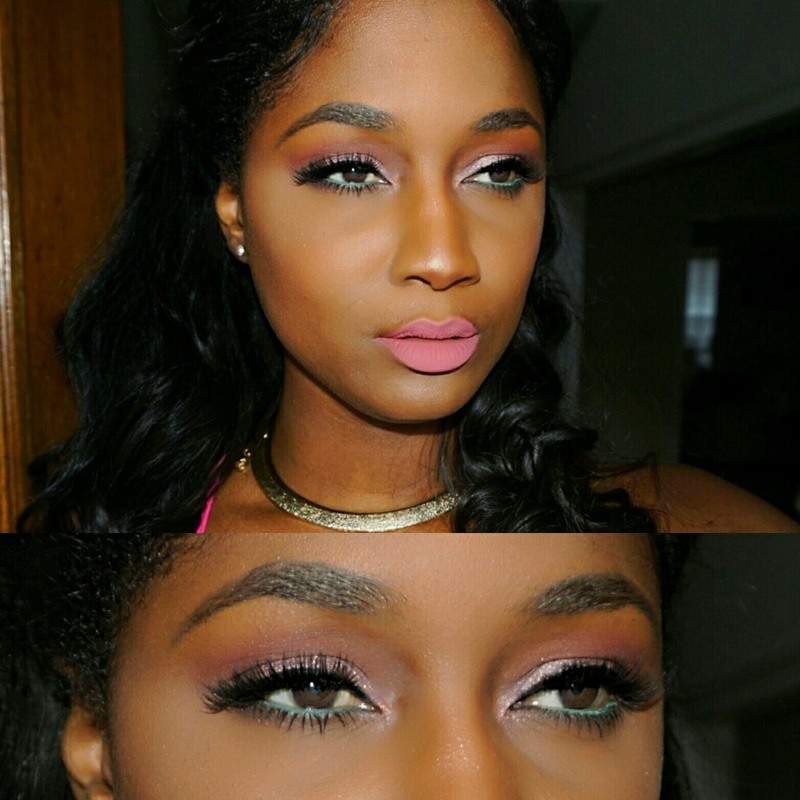 The tone of "Hot Chocolate" is perfect for less intense looks especially when I skip on black, perfect deep warm brown. I like to use these in my waterline and for tight lining. The color is nice and deep and they don't budge at all. Essence Make me Brow in "Browny Brows"
I am forever on the search for the perfect brow gel and I had heard +emilynoel83 mention this one on her Youtube channel so when I saw it on the site I had to try it out. It has little fibers that build up the brow hair and help shape them so hopefully this color works out because it's only $2.99. I had seen Nip + Fab products all over social media and in store at Ulta so this sale was an excuse to pick up a few products. 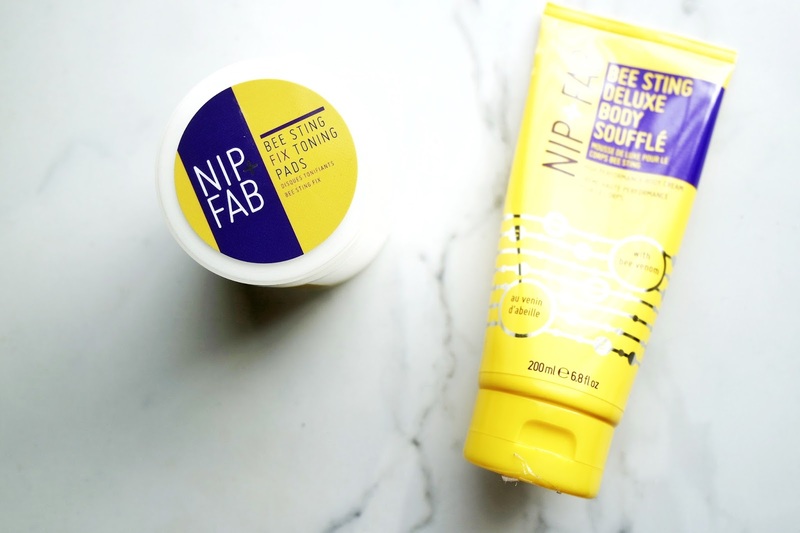 I have bee venom face mask that I swear by so I decided to try out this body Souffle to see if it tightens up my whole body. After one use, there was a slight tingly feeling so I an hoping for good results with this one. Wish me luck! Toner is my favorite part of skincare.These cleansing pads will come in handy for traveling and at home before I put on my favorite Bee Venom mask! More to come on my skin care routine. I have been using these pads for a while and like them a lot. This concealer has mixed reviews on the Ulta Site, but I decided to try it out because it had been in my cart for a while. It's supposed to have a really thick consistency, which I don't mind, just hope it doesn't crease like crazy. I got to use this once and it reminds me of the It Bye Bye Undereye Concealer in consistency. It is extremely thick, but has awesome coverage. It's won't be for everyone, but I like it so far. 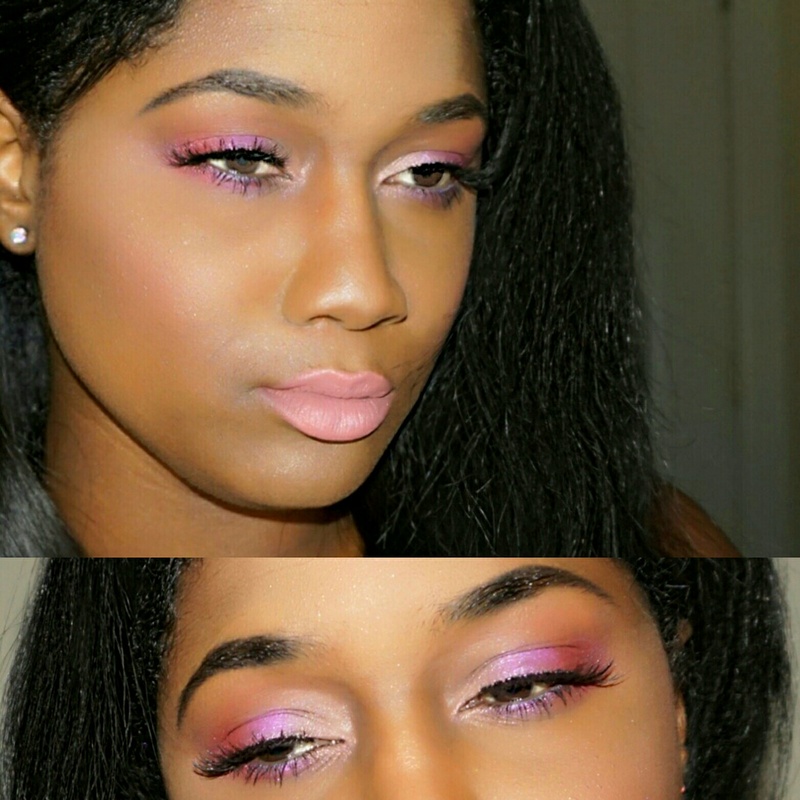 I saw +Lawrencia Lovette using this on Snapchat and decided to pick it up as it looked like it blended out well. I am forever on the search for the perfect liquid contour and highlight so this one gives me a little hope. After a few initial uses, I really love the consistency of this product and blends out really good with my beauty blender. Another bonus is the applicator, its small enough to get precise application of the contour on my nose and cheeks. 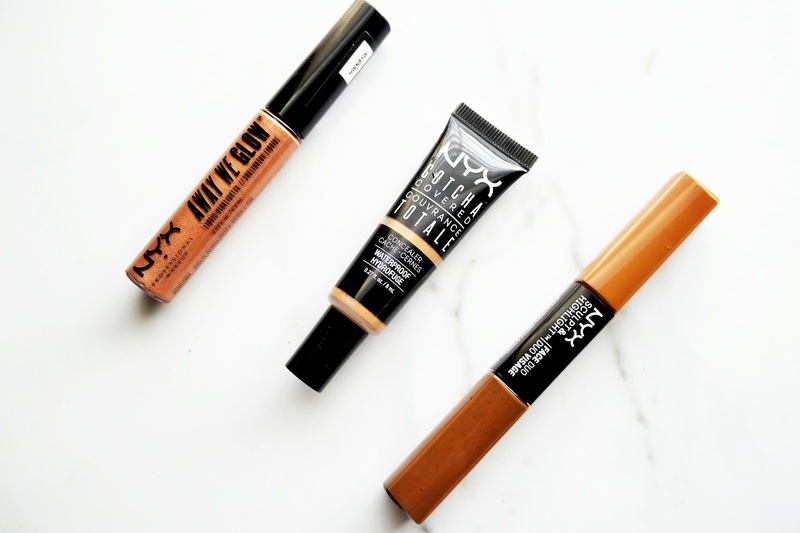 Nyx Cosmetics Away We Glow Liquid Highlighter in "Gold Rush"
I got this liquid highlighter in store a few days before Christmas and I am more than sure that this one of the new NYX launches for 2017. 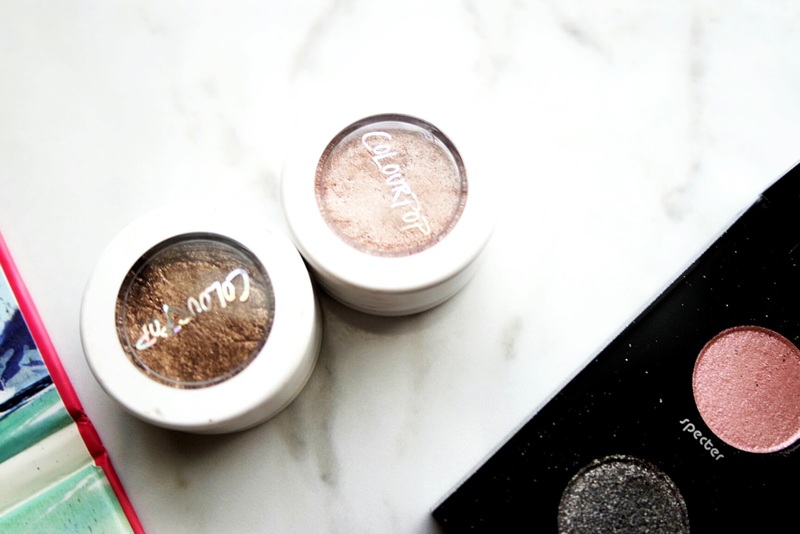 From the swatches it is extremely reflective and seems to lock in place almost like a sheer cream eye shadow. I picked up a golden shade called Gold Rush and I used it once on the tip of my nose, but a full review is coming soon so I'll hold off on giving my opinion on these just yet! This is my favorite setting spray to apply in excess to get rid of the powdery look that a full face can sometimes give. I picked up two, because I go through these like every few months and they were 40 percent off which is rare these days! I have so much testing and trying out to do! I definitely want to review a bunch of these! What new items did you pick up this month?! Drop me a comment below. 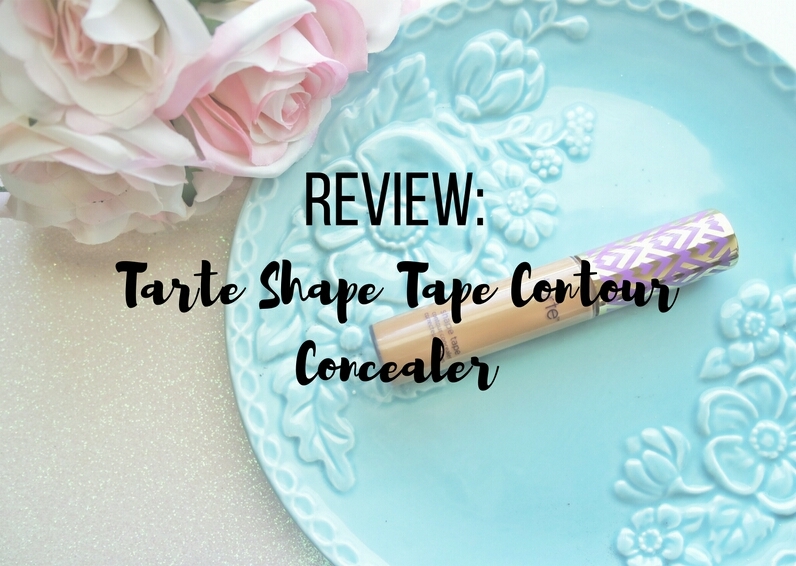 The Tarte Shape Tape Concealer is Tarte's newest concealer has been all over the beauty community lately. 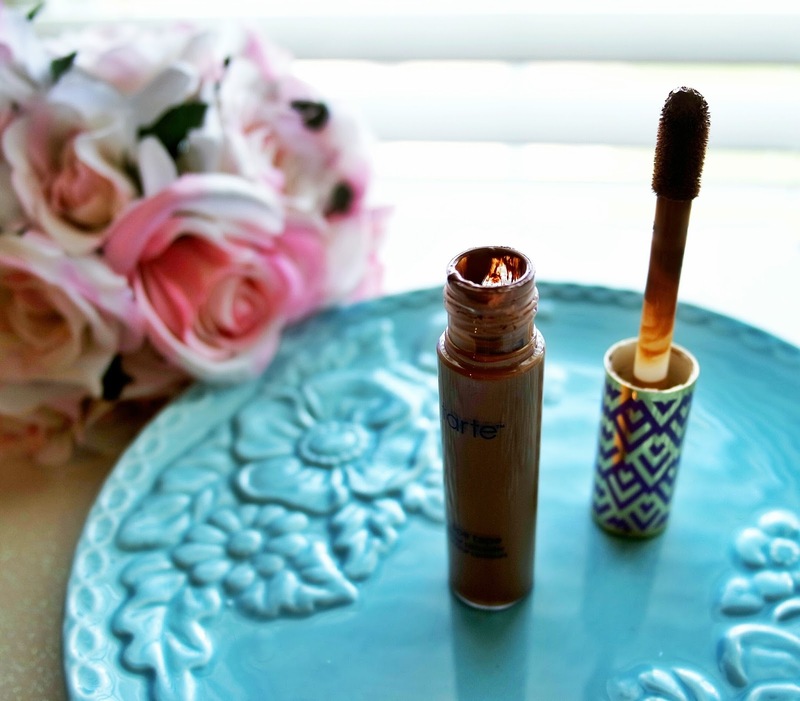 Lot's of popular guru's are singing its praises and calling it their new " holy grail" concealer, but does it really live up to its high praises?!?! It launched this past summer as a part of the Double Duty Beauty Collection and is available exclusively at Ulta for $24. 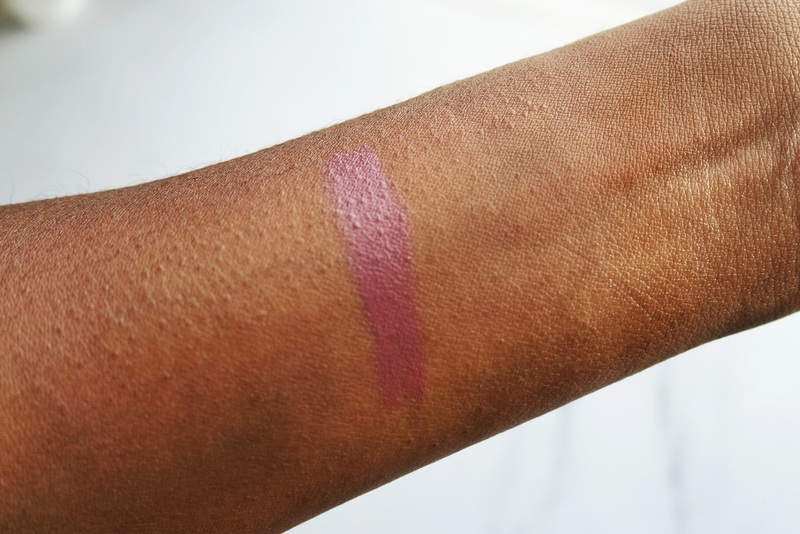 You can also find it on Tarte's website and its available in 10 shades currently. A few weeks ago, I was lucky enough to get my hands on this concealer as it has been sold out at almost every Ulta I had visited in my area. I don't have the darkest circles under my eyes, but this concealer really offers maximum coverage without feeling heavy. I would say the actually consistency of the product is in between the Urban Decay Naked skin and the IT Cosmetic Bye Bye Under eye. Thick and creamy, but not over the top. 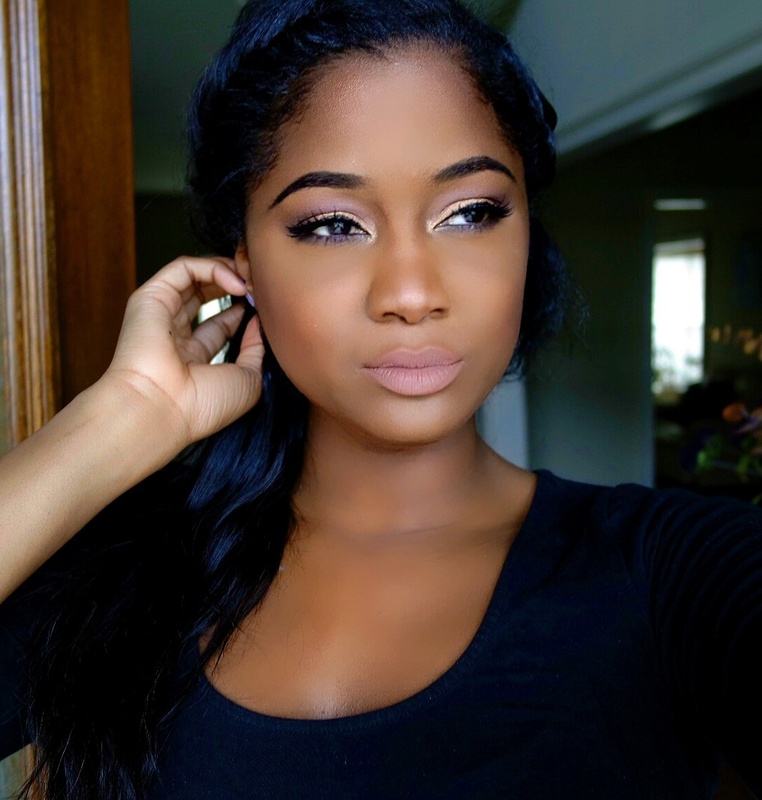 I love that despite the thickness of the product it doesn't look cake at all on the skin. This concealer blends into the skin like a dream . The large doe foot applicator allows for easy application and honestly starts to blend out the product because of the way it spreads. For actual blending I love to use a beauty blender with this. 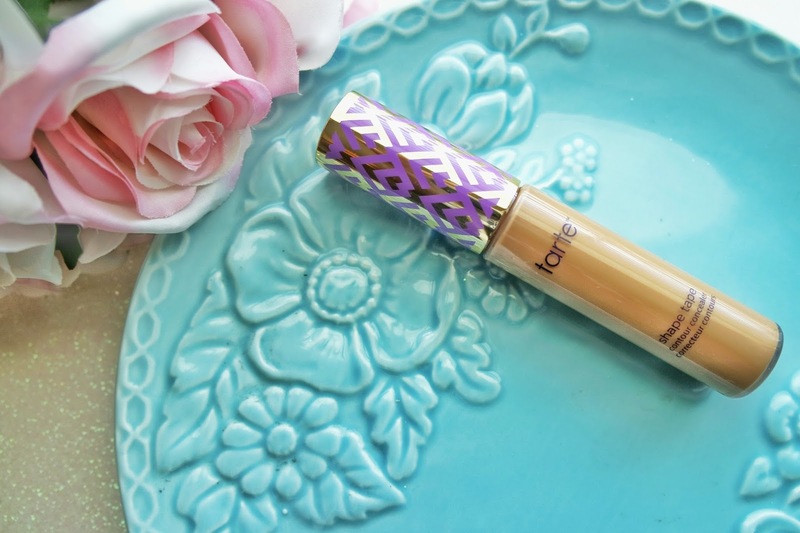 If you need a concealer that's going to last all day... this is it! When I tell y'all, this lasted all day on me without breaking down or fading. I have been wearing this on an almost everyday basis and each day, it lasts my whole 8 hr work day! 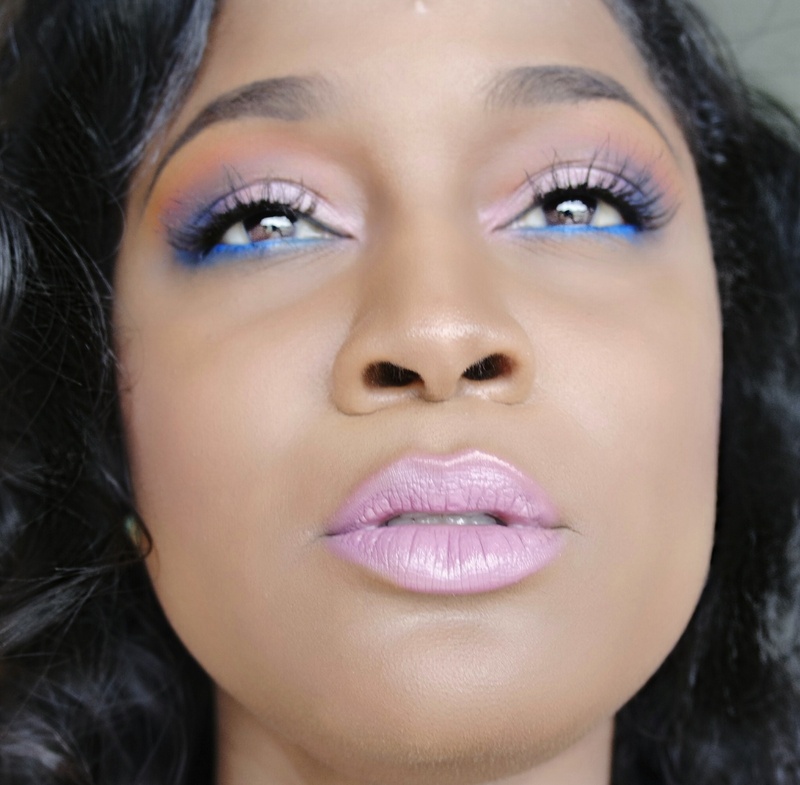 Overall, I love this concealer, my only con would be the color selection. 10 shades may seem like a lot, but I feel like there could have been about 6 more shades to accomodate different skin tones and undertones. I ended up getting Deep for highlighting, but I would have love to have this to be one or two shades lighter. 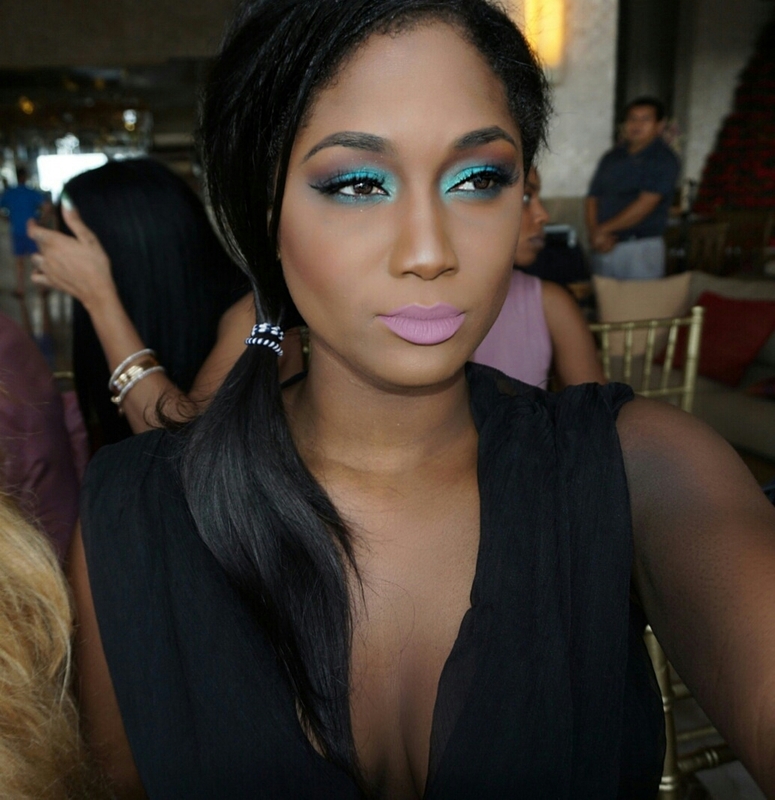 In the same breath, the next shade down, Tan Sand was wayyy to light to highlight with on my skin. I would encourage any one looking for a new concealer to give this one a try. You will not be disappointed. it definitely lives up to the 2 in 1 claims because it both covers and highlights and does it well might I add. 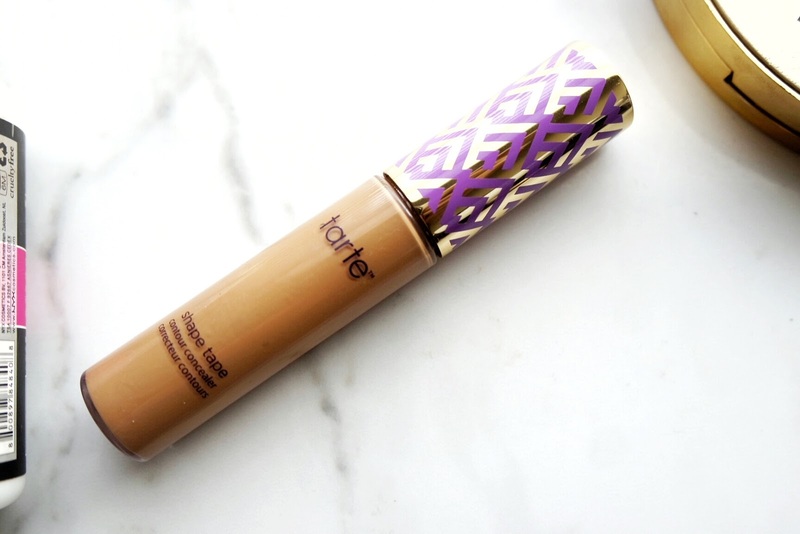 Have you checked out the Tarte Shape Tape Concealer yet? Drop me a comment below.